How I Reduce High Fever In Infants, Children, and Adults - Fever is a common disease experienced by many people. But the fact is, fever is not a bad thing for our body. Because, like the report written at Harvard Health Publication, a fever signals our body is working against infection. But that does not mean we can ignore it. Remedial measures need to be taken to cope with high fever. When we have a fever, the body temperature will increase at a temperature of 38 degrees Celsius or higher. Dr. Miriam Stoppard, a member of the Royal College of Physicians, London on his website MiriamStoppard.com, said, although fever is a good sign to know certain health conditions, do not let the temperature rise too high. Especially for children, high temperatures will cause discomfort and irritation. "In infants and toddlers, high-temperature fever poses a risk of seizures. That's why it's important to keep the body temperature normal, "said Dr. Miriam. Still said Dr. Miriam, the normal person's body temperature is 36-37 degrees Celsius. But if we get a fever and the temperature reaches 38 degrees Celsius or more, Dr. Miriam says this is not necessarily a sign of serious illness. The fever itself is caused by infections, such as flu, pneumonia, food poisoning, and gastrointestinal infections. Fever may also be caused by other conditions of the disease causing inflammation, such as rheumatoid arthritis, drug or vaccine reactions, and even certain types of cancer. When a person has a fever, the action to address them will vary, depending on the age group, as reported by MayoClinic. Infants 0-3 months with a fever of 38 degrees Celsius or higher: Call your doctor, even if your child has no symptoms or other signs. Baby 3-6 months with fever to 38.9 degrees Celsius: Let the child rest and drink plenty of water. Drugs are not needed. Call your doctor if your child appears to have unusual irritation, lethargy, or feel uncomfortable. 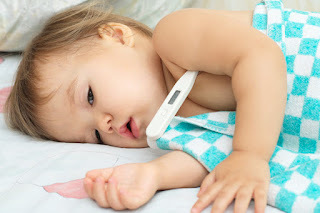 Baby 3-6 months with a fever above 38.9 degrees Celsius: Call a doctor, he can recommend tests and checks for your child. Baby 6-24 months with fever above 38.9 degrees Celsius: Give your child acetaminophen. If your child is 6 months or older, giving ibuprofen also does not matter, but first read the use properly for the right dose. Do not give aspirin to infants or toddlers. Call your doctor if the fever does not go down after medication, or if it has not gone down after more than 1 day. Children aged 2-17 years with fever to 38.9 degrees Celsius: Encourage your child to rest and drink plenty of fluids. Drugs are not needed. Call your doctor if your child looks more fussy than usual, listless, or complains of discomfort. Children aged 2-17 years with fever above 38.9 degrees Celsius: If your child looks uncomfortable, give your child acetaminophen or ibuprofen. Read the packaging labels well for the right dosage, and be careful not to give your child more than one drug containing acetaminophen, such as some cough and cold. Avoid using aspirin in children or adolescents. Call your doctor if the fever does not go down due to medication or prolonged for more than 3 days. 18 years and above with a fever of up to 38.9 degrees Celsius: Rest and drink plenty of fluids. Drugs are not needed. Call your doctor if the fever is accompanied by severe headache, stiff neck, shortness of breath, or other unusual signs or symptoms. 8 years and above with a fever above 38.9 degrees Celsius: If you feel uncomfortable, use acetaminophen, ibuprofen, or aspirin. Read the packaging labels well for the right dose, and be careful not to use more than one drug containing acetaminophen. Call your doctor if the fever does not fall, the temperature reaches 39.4 degrees or more, or prolonged for more than 3 days. If your child has a high fever, avoid waking your child to check his temperature with a thermometer. Sleep is more important for her to get her fever down.